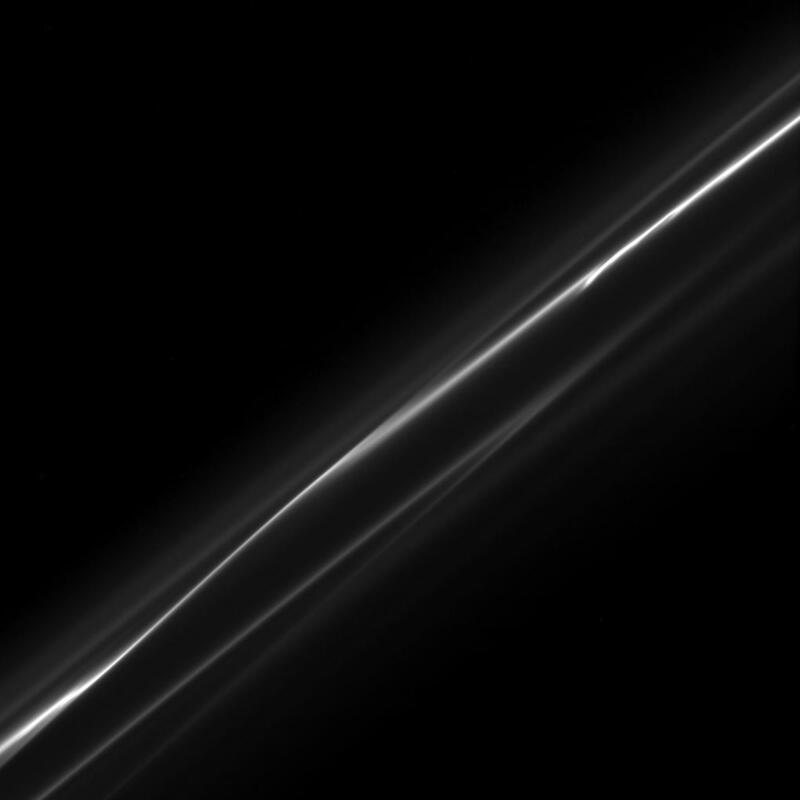 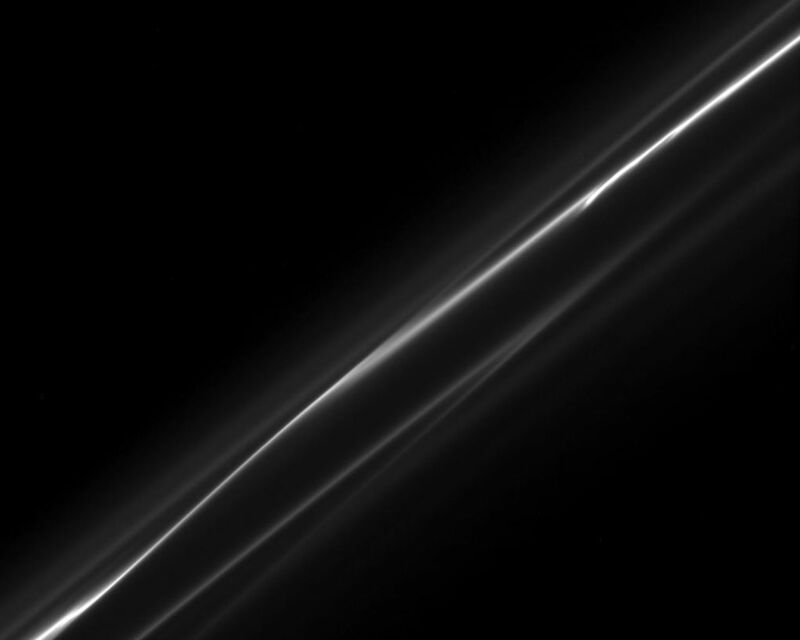 The ever-changing F ring appears as wisps of smoke in this image taken downstream of the shepherd moon, Prometheus. 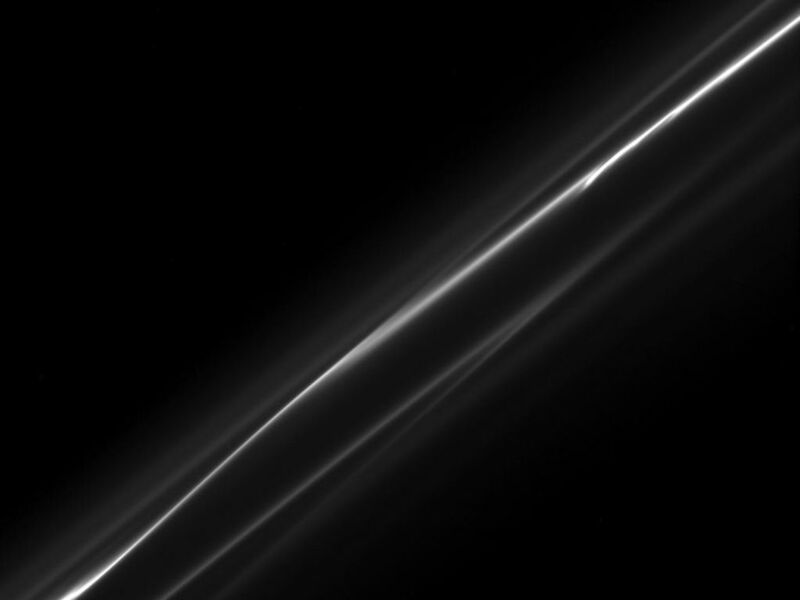 The image was taken in visible light with the Cassini spacecraft narrow-angle camera on Oct. 23, 2008 at a distance of approximately 437,000 kilometers (272,000 miles) from Saturn and at a Sun-Saturn-spacecraft, or phase, angle of 89 degrees. 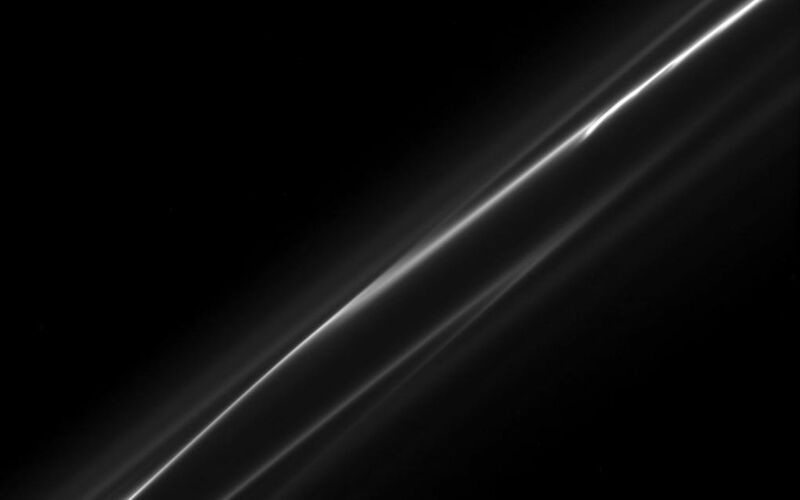 Image scale is 2 kilometers (1 mile) per pixel.